Four-year-olds get to play with Power Wheels, teenagers get to drive real cars, but how do all those kids in-between quench their need for speed? 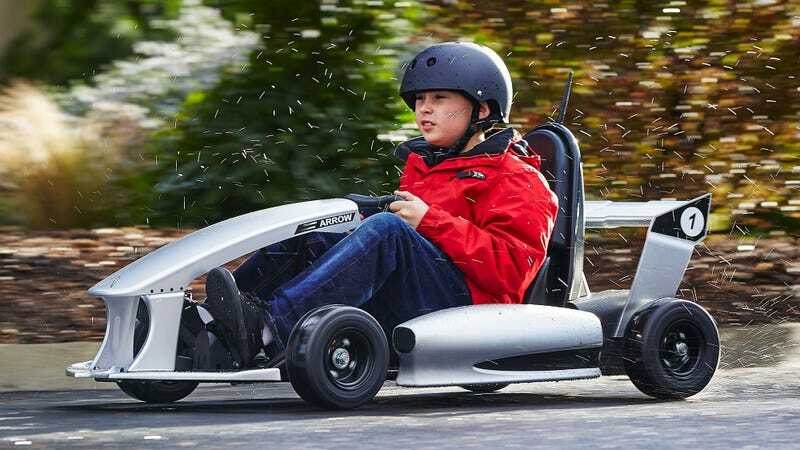 With the new Arrow Smart-Kart from Actev Motors that sounds as feature-packed as a Tesla Model S, without the £50,000 price tag. 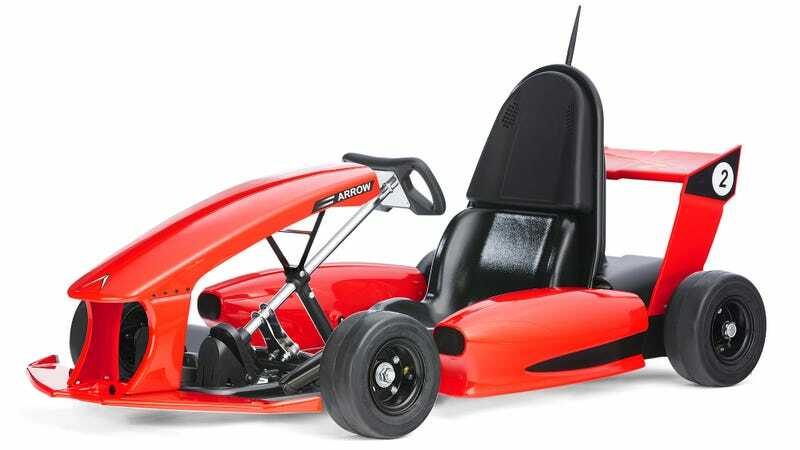 There are actually a few different features that rightfully earn the Arrow go-kart its ‘smart’ moniker. 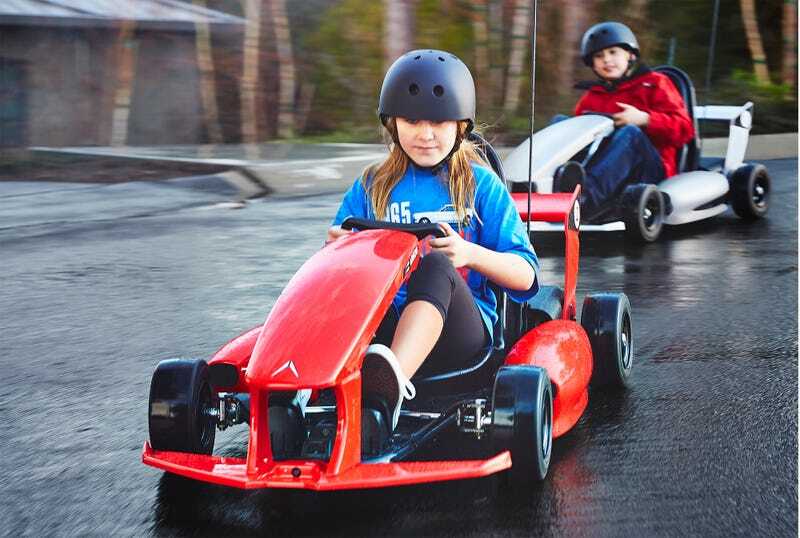 Even though it was designed by professional racing car drivers and tops out at a nippy 12 miles per hour, the kart still prioritises safety as much as it does driving fun. On a full charge the Arrow will run for anywhere from 30 minutes to a full hour, depending on where or how fast the kart is being driven. 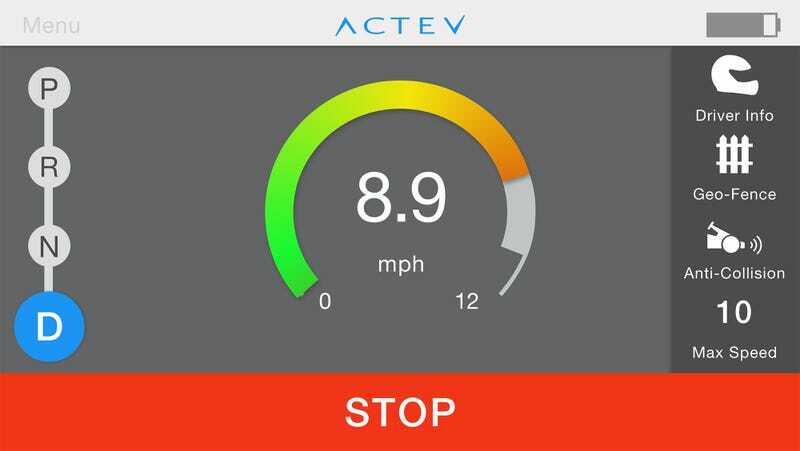 If a kid has the pedal to the metal as they climb a mountain trail, expect battery life to be closer to half an hour. Charging the battery is an overnight affair using the charger included with the kart, but a fast charger will also be available as an optional accessory, as well as additional batteries that can be quickly swapped out. In fact, accessories and add-ons will be a big part of the whole Arrow experience. The kart is available for pre-order starting today for $600 (currently only showing US delivery availability) but that’s just the tip of the iceberg. Everything from custom body kits, to drifting wheel rings, to smart cones, to steering wheel upgrades will be available. Even the app has some clever ways to squeeze more money out of mummy and daddy with various synthesised engine sound effects that can be downloaded and shared to the vehicle.